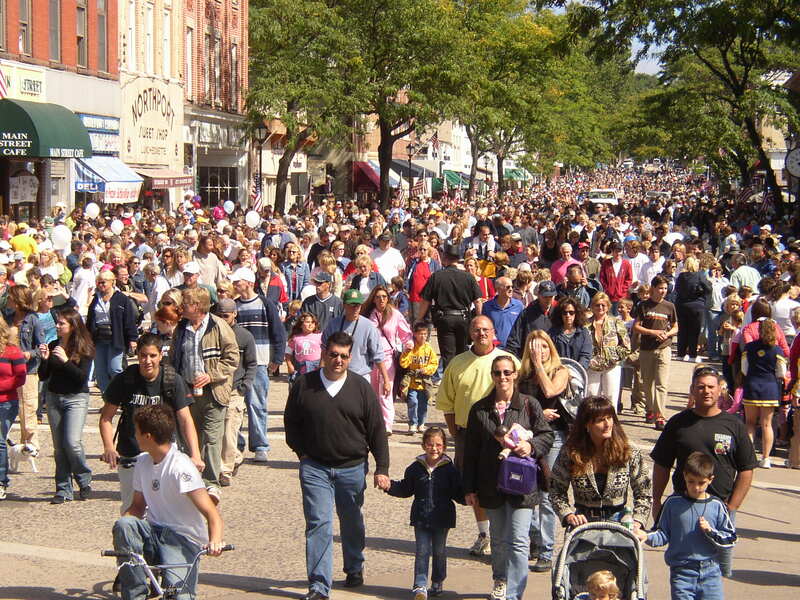 Cow Harbor Weekend is a celebration of the Northport Community. The weekend starts with Great Cow Harbor 10K race number pickup at the William Brosnan School on Laurel Avenue, Friday evening. The local Village population more than doubles Saturday morning with the running of the Great Cow Harbor 10-Kilometer Run that hosts 5,000 runners and twice as many spectators. 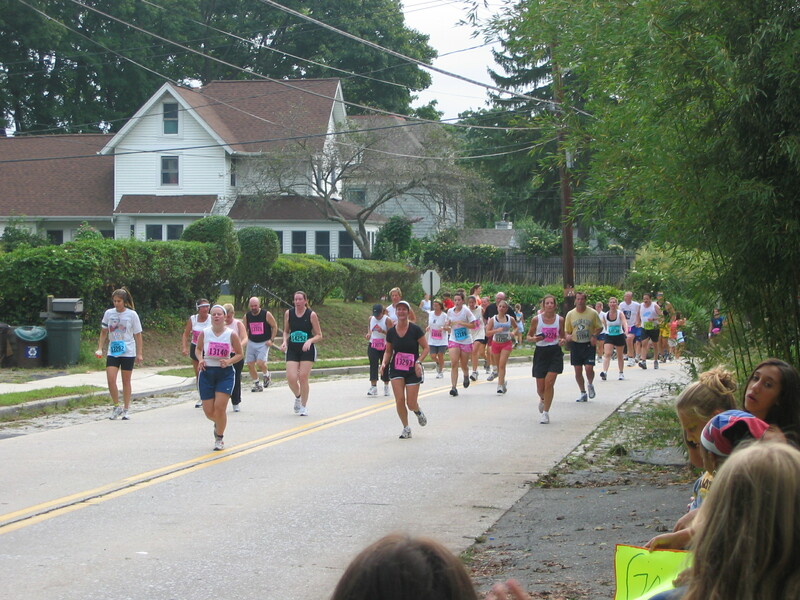 The Great Cow Harbor 10-Kilometer Run is one of the most prestigious foot races in the country and nationally ranked. Runner’s World has named the Cow Harbor Race as one of the top 100 races in the USA. The 2K Fun Run / Walk has been a huge success. This event attracts families and participants of all ages. For more information, go to the Great Cow Harbor Race website. No sooner does the race end Saturday morning and the festivities of the weekend commence. Saturday afternoon is a transition period where the remnants of the race are removed and the set up for the Cow Harbor Day festival begins. 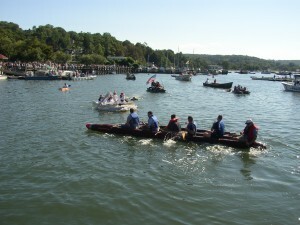 Activities on the dock are plentiful as the Village is enjoyed by its many visitors. 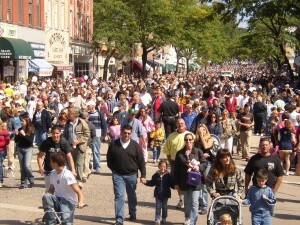 The Cow Harbor festival is an event sponsor by the Incorporated Village of Northport. 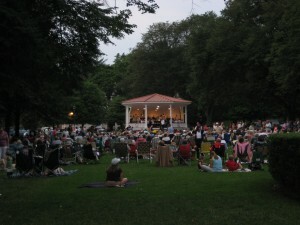 There are no corporate sponsors for Saturday evening or Sunday’s events. The weekend activities and events following the race are organized by a small committee of volunteers recruited by the Cow Harbor Committee Chairman, who is appointed by the Village Board. Saturday evening hosts the annual Cow Harbor Weekend concert in the Village Park at 8:00 PM. 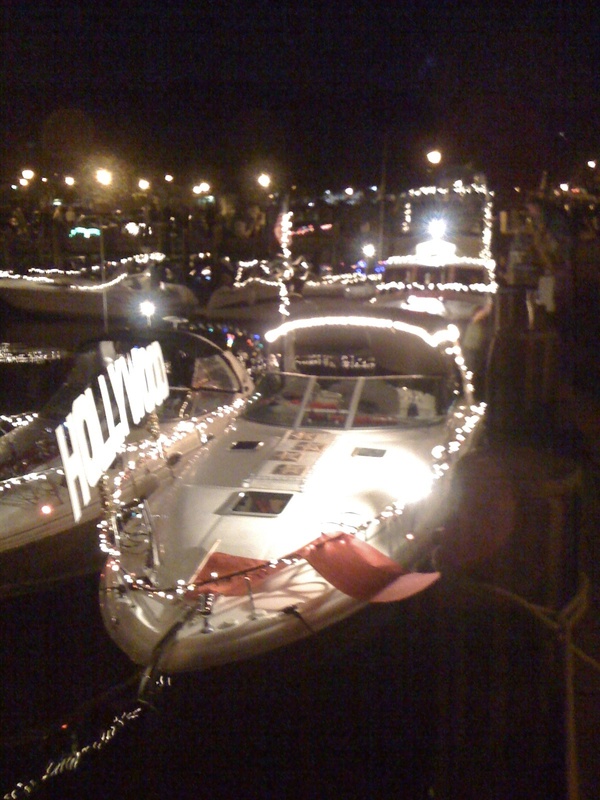 Simultaneously, on the Village Dock is the Lighted Boat display with trophies and prizes going to the best decorated boats. The boats and their crews decorate themselves in costume and accessories in accordance with an annual theme. Sunday is a day whereby Main Street and the parking lots near the water are all closed and the cars give way to the 25,0000+ pedestrians that converge on Northport. There is a parade at noon, down Main Street, followed by sidewalk sales by Northport’s merchants, Newton Shows provides rides and games, Arts & Crafts vendors and local not for profit groups take over the Village park hawking their wares and message. Music venues are spread throughout the Village and the Dock and waterfront is alive with contests such as the Crazy Boat Races. 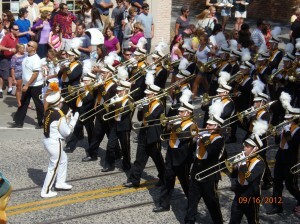 Cow Harbor Day usually has some unannounced, unpublished surprises for both children and adults. In the past, some of those surprises have included the United States Merchant Marine Academy Band, a US Coast Guard Cutter on the Dock, open for tours, Helicopters in the parking lots, US Coast Guard Rescue Helicopter demonstrations, and antique Warbird Flyovers.